The greatest benefit is becoming a member of a community that understands the unique needs that your family faces and is willing to embrace differences! As a member, you will receive a PTA membership card. Some discounts will require you to create a log in at the Virginia PTA site. Never run out again! Shop on your phone or on the web and let Boxed deliver all your big size everyday essentials with a dose of happy straight to your door. FREE Hertz Gold Plus Rewards enrollment! Earn free rental days and receive expedited service! has partnered with the National PTA to provide members with access to valuable features and benefits, including special group discounts on auto insurance. 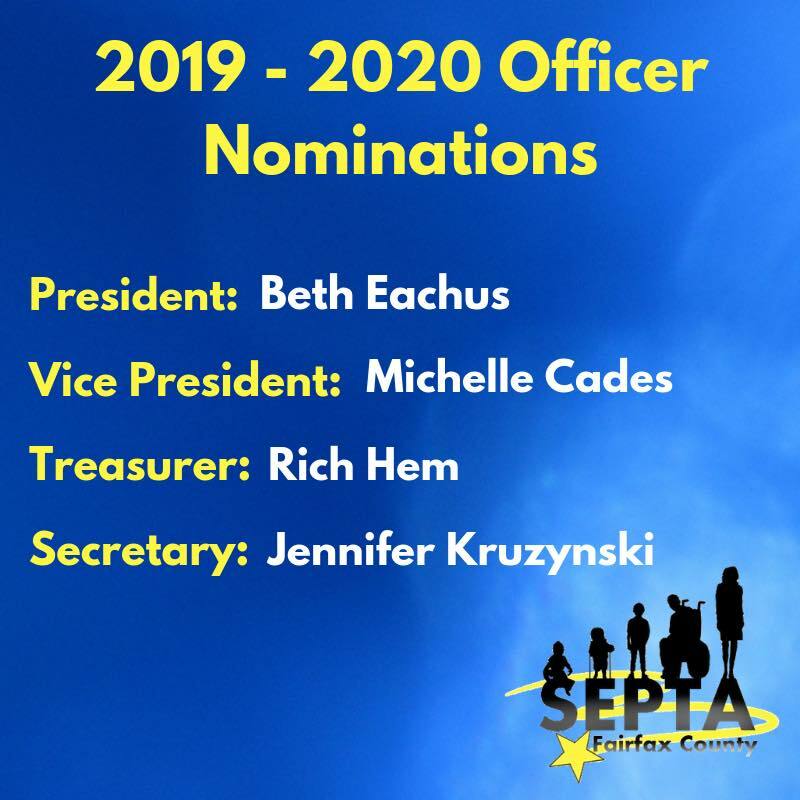 Election of the 2019-2020 Officers will take place at our April 30th meeting. Nominations will also be taken from the floor that night as well. You DO need to be a current member of SEPTA in order to vote in the election! Support Teacher Grants & Awards! SEPTA Car Magnets are now on sale! Show your support for SEPTA and help us raise funds for our teacher grants and awards at the same time! Follow Fairfax County SEPTA on Twitter!